Dont you LOVE to WIN SOMETHING? Well, maybe you can win one of these cutie notepads! 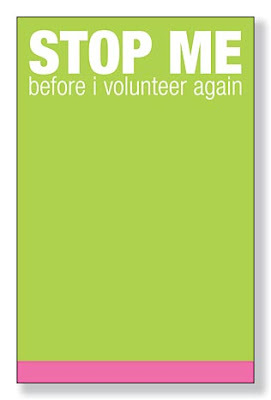 You can win either the "Stop Me Before I Volunteer Again" or the ever so popular "What's Cookin?" Both of these have magnets so you can put them on your fridge or leave them on your desk..
Court, please enter me in your fabulous give away! I too love the "What's Cooking" notepad. hope you are doing good. i love giveaways!!! 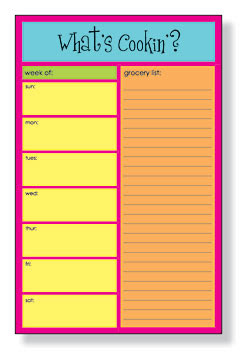 i love my what's cookin' notepad and would love the other one to go with it! janiewilliams@gmail.com! thanks! I found your blog through Kellie's!..Fun! I love those notepads,Please enter me!! !! !thanks for the information..